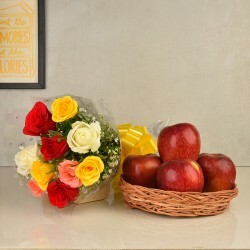 Send Flowers with Fresh Fruits Online - Pick the best selling combo of Flowers and Fresh fruits - A perfect fusion of sheer freshness. 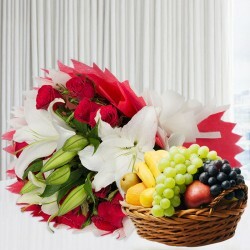 MyFlowerTree strives to offer nothing but the best with our most captivating concoction of flowers and fruits. Choose happiness, choose us! 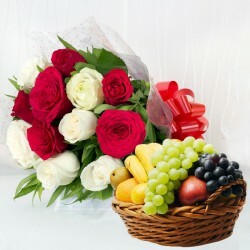 Products in this category have been rated 4.8 out of 5 based on 114 reviews.